I’m not a very religious person. I do believe in God. I pray, talk to God and look for signs when I’m in trouble to guide me, etc., but I don’t exactly have a routine. I feel my relationship with my maker is a personal one. And I don’t go to temples regularly. But when I was a kid, I was taken around to lot of temples & was fed lot of stories where ‘God will blind you if you’re evil’ was always the moral. And I was encouraged to pray for things I wanted. But as my rational thinking grew, I began to adopt the philosophy mentioned in the first paragraph. Now, my seven year old son has a lot of questions about God. Since my husband is a thorough rationalist, its totally up to me to shape his mind in these matters. Do I blindly follow my parents & teach him the ‘Saami kannai kutthidum’ philosophy or explain things a bit more rationally? Thanks to Cartoon Network, he already has his basics covered on the different Gods & their Avataars. And thanks to school, he already knows there are a lot of religions in this world. So I just answer his questions, as & when they arise, as best as I can. Last year my husband wanted to give him a taste of his own childhood & took him shopping for a clay Ganesha, in a typical market place. This year, he flatly refused to go along. “The streets are yucky! I will not walk in all that muck!” He begged off. My husband went alone and picked up a clay Ganesha sprayed with fine gold dust. But I wanted to make up for the lack of fun, so I woke up early, made the kozhukkattais and called my son for the puja. Of course, it was just the two of us, since my husband was still snoring. Both of us sat in front of the decked-up Ganesha, did the puja and I explained to him that Kozhukattais are Ganesha’s favourite sweet & all the fruits were for him. Then I asked him to sing a small Ganesha song. He did that dutifully. In a while, it was breakfast time. While he had a bowl full of his favourite cereal, I sat in front of him, with a bowl of kozhukkattais, waiting to dig in. Peeved to be deprived of my favourite sweet, I held on tight to the bowl while he tried to pry it from my hand. But he’ll have none of it. Since it was time for school, we wrapped up and left. That evening he came running to me while I was pounding away at my comp. “Amma! Ganesha has eaten all the kozhukkatais in the plate!” He said joyfully. I noticed his bare upper body had a bit of gold dust. “What happened?” I asked, pointing to the gold. “I gave Ganesha a big hug!” he admitted sheepishly. Next morning I needed a banana for my cereal. So I plucked one from the puja plate & proceeded to peel it. And of course by the time he got back from school that day, the fruits had to vanish too. This is even worse than Santa story, I thought. He’s been insisting that we have a Christmas tree every year for three years now. Since it is all in good cheer, I gladly bought one and decorate it every year. But I’m so not prepared for his letter to Santa. Last year it was the Beyblades and they were not in stock in the entire universe. Frantic, I clutched at every lead I got and found some fake Beys from Parrys Corner. Of course he didn’t want them. Thankfully it was not with the Santa loot. “Oops! I’m sorry!” I’d apologise. Last week, he wanted me to take to the Toy Shop to get him something. I had no such intentions. “Pray to Ganesha & ask him if I should really take you.” I told him. “Buy I don’t know how to talk to God!” he wailed. So he obediently stood with folded hands, closed his eyes. So I stood in front of the puja, closed my eyes & folded my hands in reverence. Crest-fallen, my son walked away. Soon it was time to go somewhere. We passed by the Toy shop and a small voice from the back seat spoke. This book was strongly recommended by a friend, an avid reader whose taste in books is largely similar to mine. “Its a page-turner. Totally un-put-downable” He said. So I picked it up on my next visit to a book shop. Down with a strange viral which refused to disappear despite paracetemols and heavy duty antibiotics, I was confined to bed for almost a week. But I had lot of energy to read. I finished this book in two day’s time. Yes it was un-put-downable. The theory that Lord Shiva was a tribal from Tibet, who comes to the Indus Valley civilisation to fight for them in a war against evil and falls in love with the princess Sati and marries her is all very very interesting. The plot has all that a good drama demands. A reluctant hero, an unattainable heroine, a prophecy, brotherhood, war, twists in the story, etc. makes this book a page turner. But since I just finished reading Ashok Banker’s Ramayana series, I just cannot help feeling biased. I’m not comparing the authors. Both are skilled writers. Their books are really fast-paced. But there’s a huge difference. While I did feel the Ramayana series could have been finished in 3 books instead of 6 and the violence was just too much for me, there was a sense of witnessing mythology in Banker’s books. 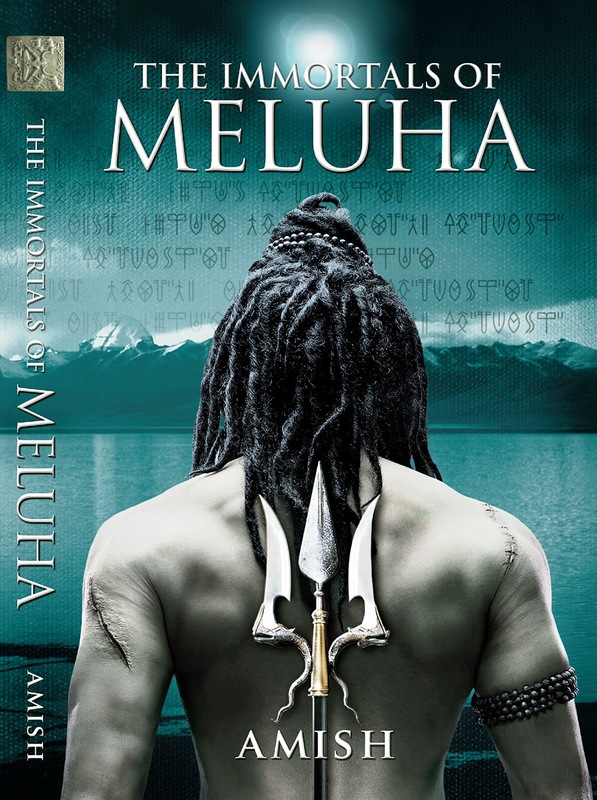 But The Immortals of Meluha gave me the feeling that I was reading cowboy or a James Bond story set in ancient India. Excuse me? I can only imagine a Sean Connery or Roger Moore or Clint Eastwood doing that. Not someone wearing a dhoti and angavastram and has jata-mudi! This whole thing cracked me up so badly, I just couldn’t read the book seriously after that! And the characters keep referring to India and its greatness and powers. I thought till the invasion of the British, India was only a loose combination of various kingdoms. And I remember reading somewhere that it was the British who even coined the name India. So how did ‘India’ exist in 1900 BC? I just cannot wait to get my hands on the rest of the triology! But jokes apart, people, do pick up the book. It’s a high drama, fast-paced, un-put-downable and if you don’t mind the cowboy-bond influence, you’ll probably enjoy it much more than me! Oh, I forgot! The friend who recommended the book is a typical ex IIM, fundu type of a guy, just like the author! No wonder he loved it! “Look!”, I pointed to my son. “Isn’t the sun just beautiful?” I gushed. “Amma!” he rolled his eyes. So people, I stand corrected. 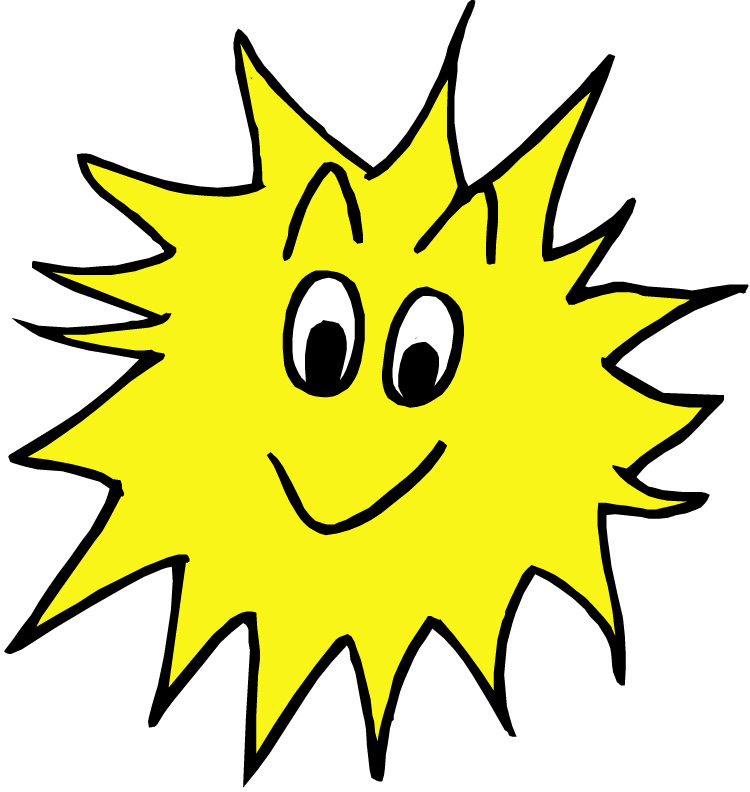 I saw a spectacularly’ smart’ sun, setting in the sky last evening! Anand stands before me. His palms joined together in reverence. His eyes closed. Lips moving in prayer. “Please, please, please…” he murmurs. “Please God, let me do well in my Chemistry exam tomorrow,” he prays ardently. “Don’t you think it’ll help things if you go home now and spend sometime with your books? “ I ask him. He does not hear me. His mind is full of voices. His father’s. His mother’s. His teachers’. His friends’. His own. Admonitions. Fears. Warnings. Dreams. Aspirations. The din drowns my voice completely. After one last look at me he leaves hurriedly. He has tickets for the latest movie in his pocket. I should know. I am after all, omniscient. Assured that I’ll cook up some miracle tomorrow to save his day, he leaves while his mind is already with his friends waiting for him at the cinema. A coconut smashes on the street. Soon she is standing in front of me. After each fight with her husband, she comes here with many questions, to implore me to help her. As before, my voice goes unheard in the clamour of the thoughts in her head. But relieved that I’ll solve her problems, she leaves, more light hearted. Sometimes I wonder if that’s what I am here for. Agreed, I am the remover of obstacles and all that. But most of the time, all people have to do is to bend down, pick up the obstacle and throw it away. But instead, they just stand there, mortified, close their eyes and try to wish their problems away. She’s a delight to me. She lives next door. Comes to see me everyday. I wait eagerly for her visits. She comes in. After exchanging pleasantries, starts telling me the highlights of her day. Her childish logic never ceases to amaze me. She makes so much more sense than the adults. Today, she’s upset with her mother. “All I did was ask her if my snack was ready,” she says mournfully. “Don’t worry about that, sweet heart,” I assure her. “Wow!” she says and skips out. She almost knocks over an annoyed Kannan, who’s coming towards me. Of late, he’s here everyday, praying for his son, who’s appearing for his school finals this year. Stubbornly refusing to listen, he drones on his prayers to shut out my voice. Fine. I’ll do my best. These are problems of another kind. The ones some create for themselves. Oh, how they love to do that! Arun is a brilliant painter who happens to hate math. Then why force him to learn it and then come to me and ask for a miracle? Anyway, like I said, I’ll do my best. A few days later, Preethi walks in. Do I see tears in her eyes? “Child! What happened?” I ask. “Oh! Is that so?” I feign bewilderment. “Don’t worry, girl. You’ll find a new friend” I try to console her. “But I’ll miss you,” she says. She stays for a long time. I cheer her up with things she can look forward to. New house. New school. New friends. It works. Still sad, but visibly cheered, she says her goodbyes. I promise never to forget her and help her in all her future troubles. In Madurai, I sit in a small shrine, right opposite her house. She can see me from her bedroom window.